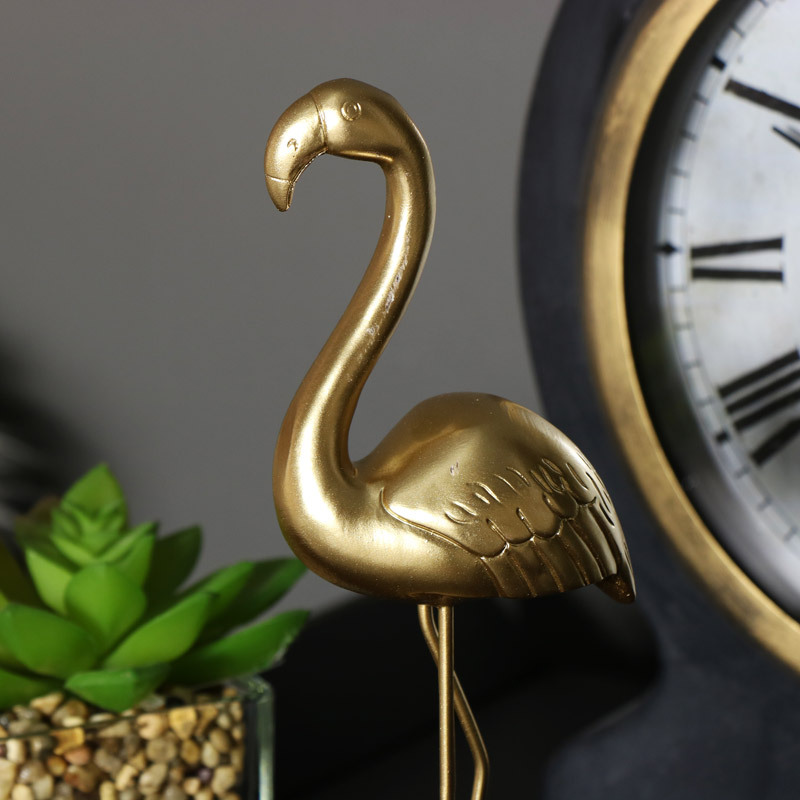 This delightfully elegant figurine of a flamingo will add an exotic glow to your home decor. A delightful little character that will add some fun to your home. Perfect for using as part of a display or as a standalone piece on a shelf or window. A great gift idea for anyone that loves the colour gold or animals birds and flamingos. 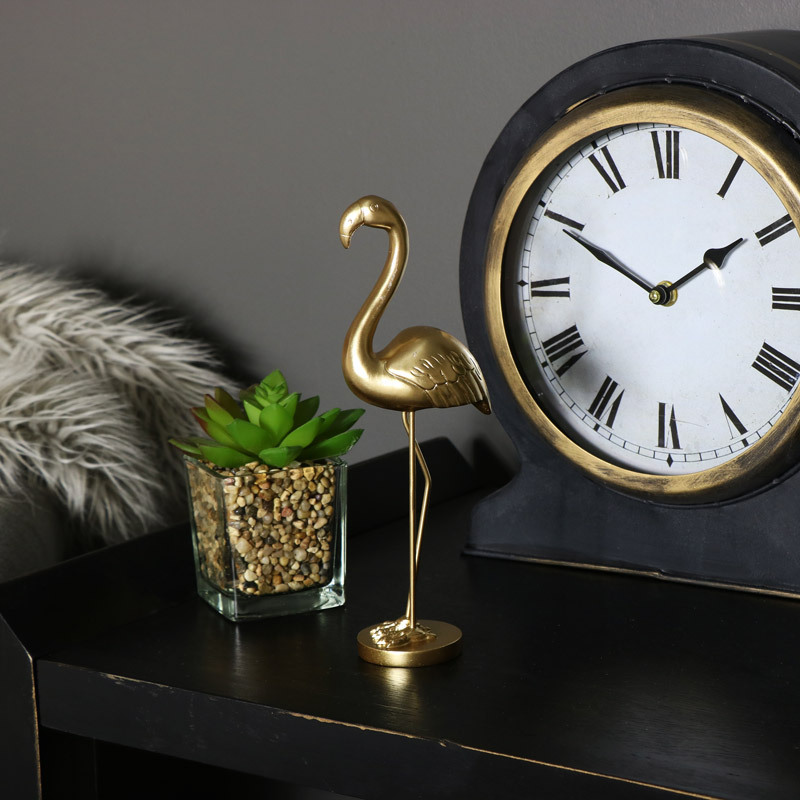 This delightfully elegant figurine of a flamingo will add an exotic glow to your home decor. A delightful little character that will add some fun to your home. Perfect for using as part of a display or as a standalone piece on a shelf or window. A great gift idea for anyone that loves the colour gold or animals birds and flamingos. 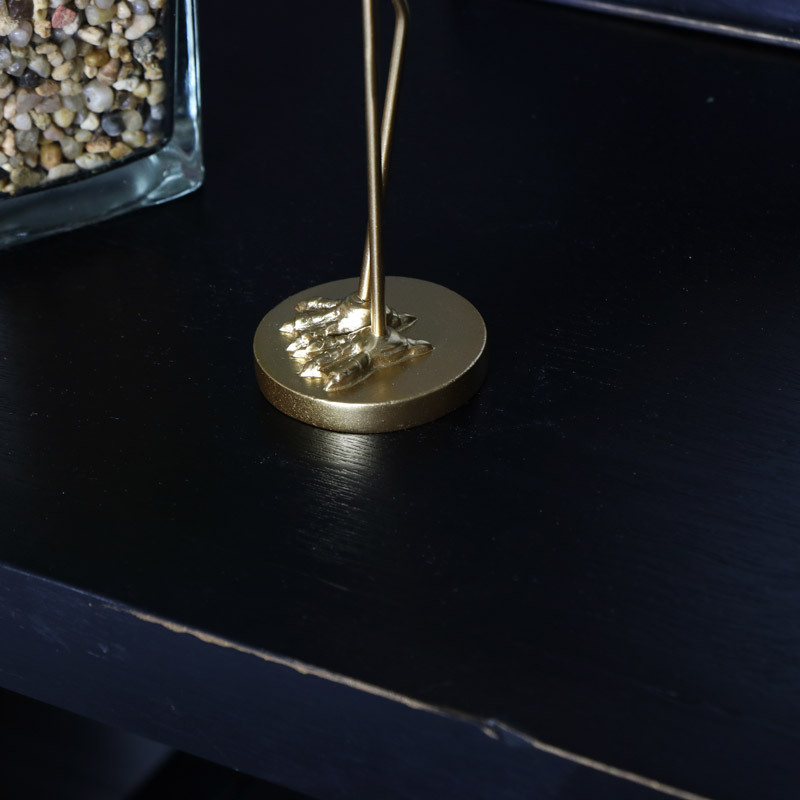 Made from metal and painted in gold with a metallic finish.